I was back with the Raptor team. I just love these guys. I love their dedication to their country and their dedication to each other. Even when they get into trouble (ahem, here’s looking to you Hawk), they still take care care of each other. Hawk. I’m so glad that he’s different than the other guys on the Raptor team. With series like these, you run the risk of having all the guys eventually turn into the same person. Not so with this one. 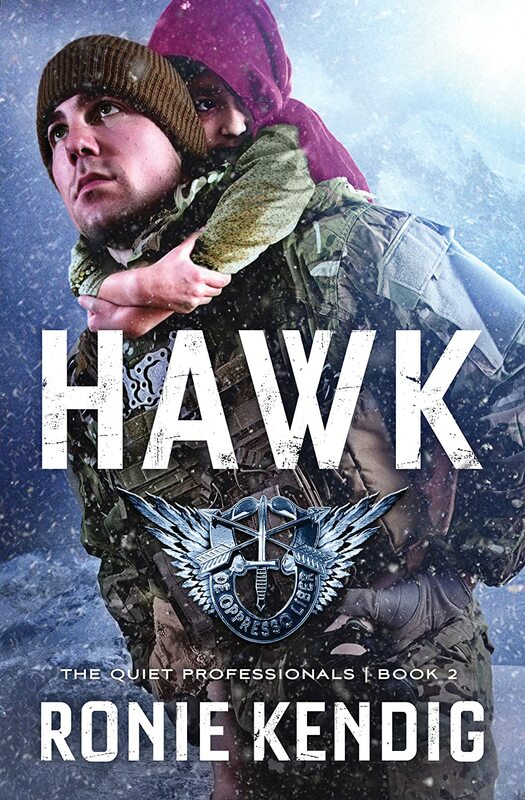 Hawk has a distinct personality which influences every decision he makes. I really liked him and rooted for him the entire book. Fekiria. I liked that she was in the first book also. In the first novel, you learn that she’s hiding something, and what a secret she has! I thought it was particularly fitting because recently the news did a piece on a female Afghan pilot. Action. The book is non stop action, I was completely involved in the story, wanting to know what would happen next. Spiritually, Fekiria and Hawk learn to know and trust Jesus. The romance. Let me clarify, I liked that Hawk and Fekiria get together. It’s just that Hawk and Fekiria really don’t spend time together until the last 30% of the novel and when they do, they generally argued with each other the whole time. Did I believe they were attracted to each other? Yes. Did I think they really respected each other? Not enough for anything long term. I think at the end of the day I felt like the romance was added at the last minute. The book switches povs between Hawk, another person, and “the bad guys.” I will admit that I always skimmed “the bad guys” dialogue. I wanted to get back to Hawk! Overall, I enjoyed this book. It was fast-paced, action filled, and I didn’t want to put it down! So excited for the next one! Makes me want to read the first in the series!